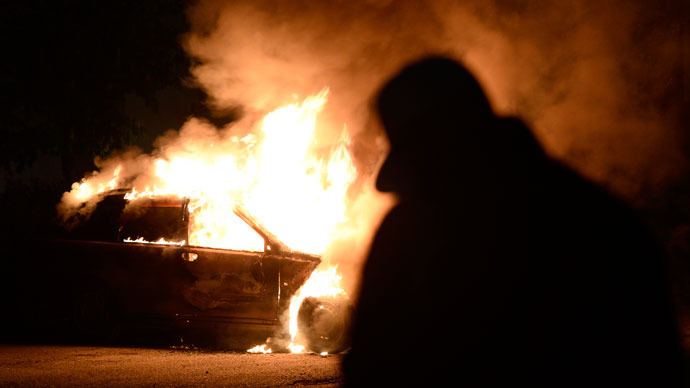 At least six vehicles were torched throughout the city late on Thursday while the police called for reinforcements from other Swedish cities bracing for further unrest. 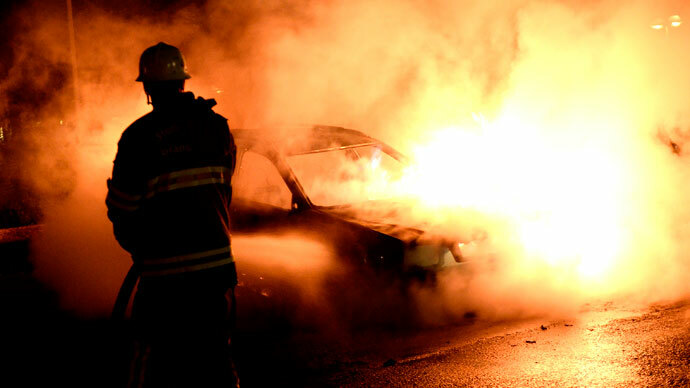 Firefighters were putting out flames that engulfed several cars and a school in immigrant-dominated areas of Stockholm. The night before, the fire brigades were called to some 90 different blazes. On the fourth night of violence, youths torched over 30 cars in 15 neighborhoods along with a restaurant in Skogas, south of Stockholm. Three law enforcement officers were injured, police spokesperson Kjell Lindgren reported. 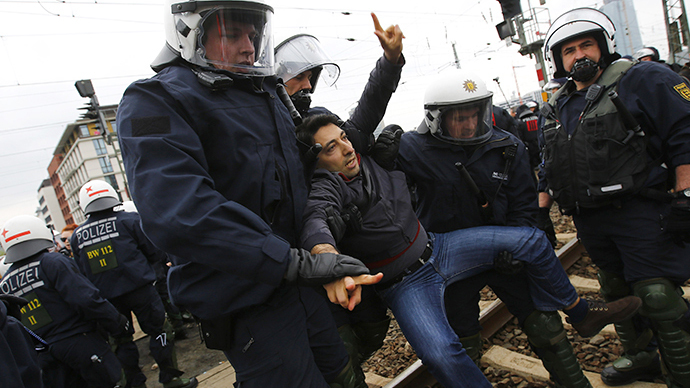 Leaders of immigrant communities were out on the streets in a bid to stop young people from rioting. Despite their efforts, as soon as the night fell, groups of arsonists took to the streets to set cars on fire. RT's Peter Oliver witnessed rioters throwing stones at police and journalists alike. Civil disorder in Stockholm started on Sunday, when police shot and killed a 69-old-man in his apartment after he confronted officers with a machete; the unrest has since continued throughout week. 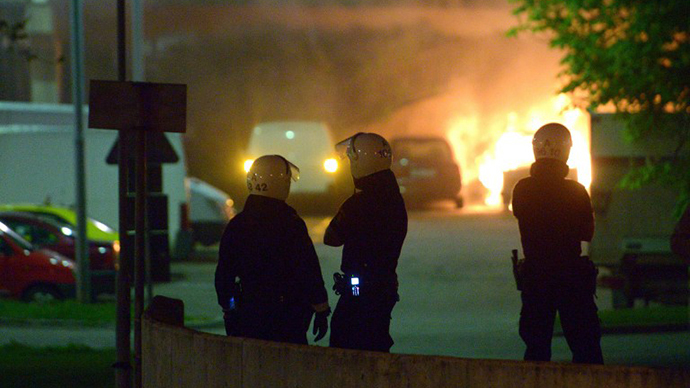 Community leaders insist that a main reason for the violence is the high rate of unemployment in immigrant communities, particularly in the suburb of Husby near central Stockholm, one of the worst affected by the nighttime violence, Peter Oliver reported. Although Sweden’s unemployment rate is below the EU average, joblessness among those under 25 has reached nearly 25 percent. The RT crew in Stockholm noted that a majority of those taking part in the violence are young. “In Sweden you’ve got welfare, access to the educational system – up to university level, you got access to public transport, libraries, healthcare – to everything. And still they feel that they [immigrants] need to riot through stones and Molotov cocktails. It’s ridiculous and a bad excuse,” Swedish Democrats MP Kent Ekeroth told RT. 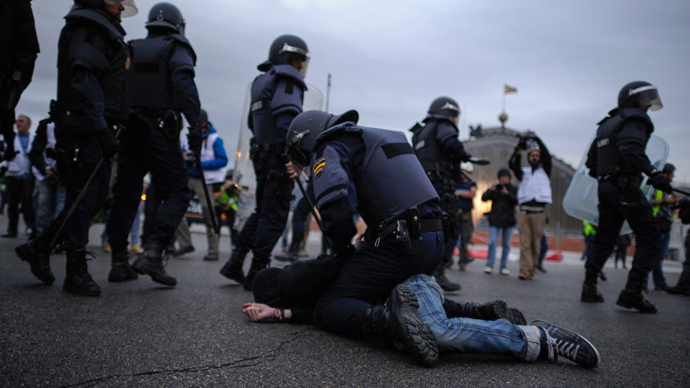 “Police can put down these riots in five minutes – if the politicians were to allow them,” Ekeroth added. Parents of the rampaging teenagers and community religious leaders are now spending sleepless nights on the street in an effort to prevent their children from wreaking havoc. Meanwhile, the Swedish Prime Minister Fredrik Reinfeldt blamed the violence on “hooligans” and said they did not represent the majority in the rioting neighborhoods. “I think it’s dangerous to draw a picture of Sweden with a capital separated from its suburbs. I don’t think that’s true. I think the dividing line runs straight through Husby, with a majority population and then a small group of troublemakers,” Reinfeldt said. But the Husby youth taking part in riots told Reuters they are indeed divided from the rest of Stockholm, struggling to find a full-time job with their Husby address. Most of the interviewed rioters were reportedly unemployed. The claims of social exclusion in immigrant-dominated suburbs have been partly conceded by Sweden’s Integration Minister Erik Ullenhag, who said the ministry is aware of “discrimination in these areas.” But the riots “don’t improve the image of these areas, where there is a lot of positive stuff going on,” he added. For years, Sweden – one of Europe’s most tranquil countries, famous for its attractive immigration policies and generous welfare system – has been accepting an influx of immigrants, which now make up about 15 per cent of its population. These migrants have failed to integrate into Swedish society, and are only in the country to enjoy the country’s social benefits system, Swedish journalist Ingrid Carlqvist told RT. “The people come here now because they know that Sweden will give them money for nothing. They don’t have to work, they don’t have to pay taxes – they can just stay here and get a lot of money. That is really a problem,” Carlqvist added. “The police could do so much, [instead] they have told the public that they mean to do as little as possible. 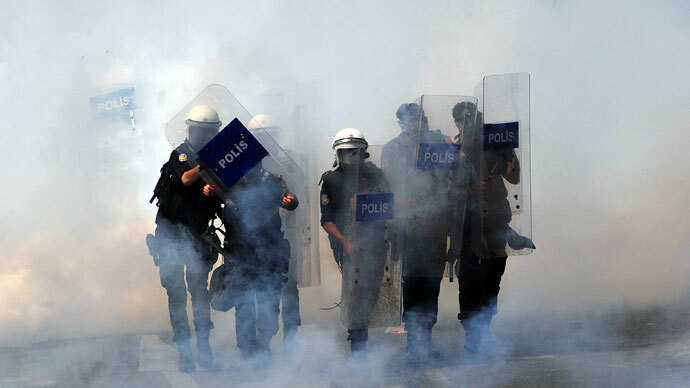 But they could go there and use water cannons, they could not let people out onto the streets at night. There are so many things they could do within the law – but they don’t do it,” she said. Young Muslims who enjoy tolerance, social institutions and welfare while living in Sweden nevertheless refuse to integrate into the West, Gerolf Annemans told RT. Annemans is the parliamentary leader of Vlaams Belang (‘Flemish Interest’), a Belgian far-right nationalist political party. “They [Muslim youths] have always sought excuse to show that they are not agreeing with the basic values of Western society,” Annemans said, pointing to the recent cases of the Boston Marathon bombing in the US and yesterday’s beheading of a British soldier in the UK. “It’s always the same problem. There is a massive refusal by Muslim youngsters of the basics of Western society... and they take any excuse whatsoever to show that with violence – that is where the problem is,” he said. As rioting continues to rip through Stockholm, some claim the violence has clearly been orchestrated for ulterior motives, Lars Hedegaard, Editor-in-Chief of Swedish newspaper Dispatch International said to RT. “Some people would like to gain recognition as stakeholder in society. In other words, there are people who would like to be in a negotiating position… that they can make things happen and go away. That they have power in local communities and should be reckoned with,” he explained. “These riots in the country that are spreading and continuing for a long time that the [multiculturalism] success was a fiction, they never succeeded,” Hedegaard said.